Disclosure and Disclaimer: I am being compensated by Treatibles to help spread the word about their product, but only share information I believe my readers will find useful. I am not a vet, nor a dog nutritionist or trainer, NOR A LAWYER, and the following info has been gathered and presented based on my personal experiences and research. The following opinions are my own and do not reflect those of Treatibles, any veterinarian professional, or anyone else. Talk to your vet before beginning any new therapy or supplement. So What is CBD, Anyway? CBD stands for cannabidiol, a cannabinoid. Cannabinoids are a group of chemical compounds present in both animals and the plant genus cannabis. Yes, that cannabis: the genus that includes both hemp and marijuana. Before you think that I’m suggesting that you help your dog “smoke up,” realize that CBD does not equal THC, the psychoactive component in marijuana, and it will not cause a high. CBD is used for for a wide range of therapeutic applications for both humans and animals, from easing joint pain, to managing anxiety, to even reducing seizures. Ok, But Why Use CBD for Dogs? All animals have an endocannabinoid system, which helps maintain physiological, neurological, and immunological body systems. Natural occurring phytocannabinoids help maintain these systems. If there is a deficiency, supplemental cannabinoids can help. Dogs have a high concentration of cannabinoid receptors in their brains, so they are good candidates for these type of supplements. Learn more here. If you know Henry, you know that he is an anxious boy. Often, this anxiety manifests itself in reactive behaviors. 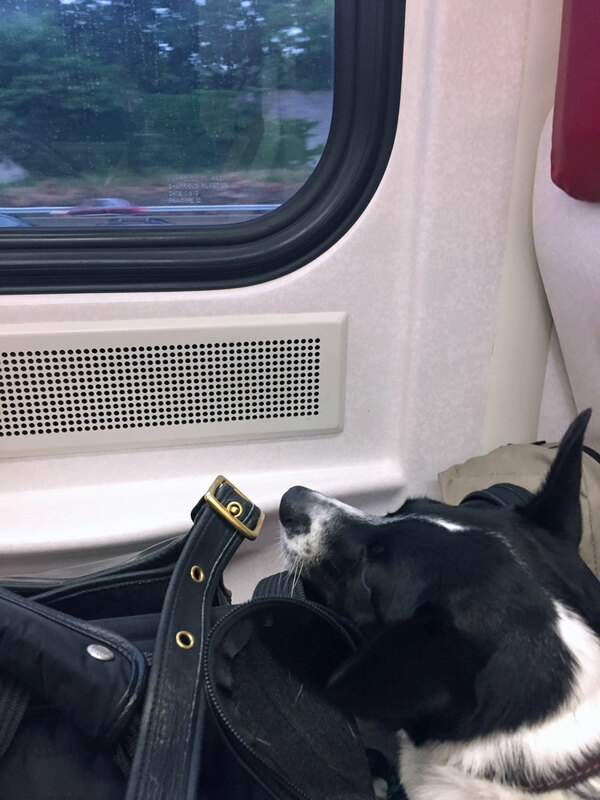 He barks at other dogs when on walks, loses his minds over nail trims, and just can’t settle down if there is noise outside our apartment or if our fellow subway straphangers are particularly rambunctious. 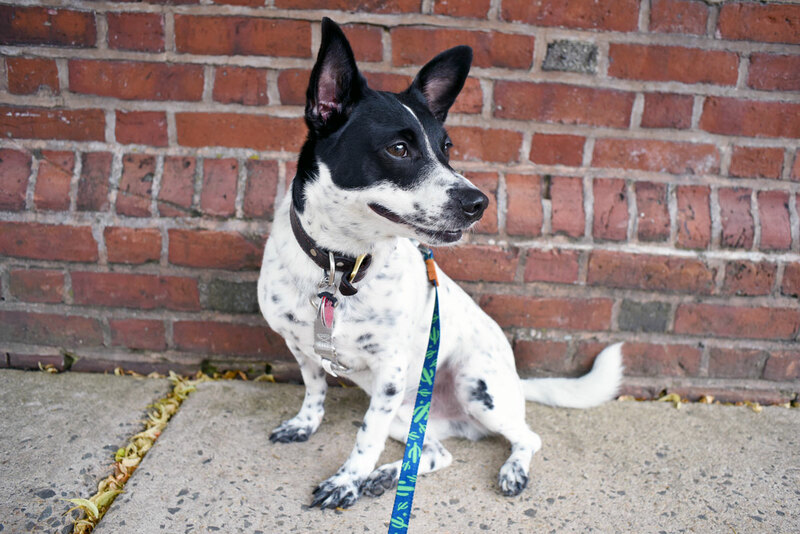 Living in the city with a reactive dog can be particularly frustrating, since we encounter more stressors on a daily basis than we would in the suburbs or the country. Henry has been on Prozac for a year or so and, while it has made a difference in our training, it just can’t touch the most stressful situations. Reactivity is a fear- or anxiety-based behavior. Like humans, dogs can benefit from various medications and anxiety-reducing supplements. When I met Treatibles at the BlogPaws conference, I was skeptical — yet curious. After trying various medications and supplements and putting in years of training, could these CBD treats really help my skittish boy? 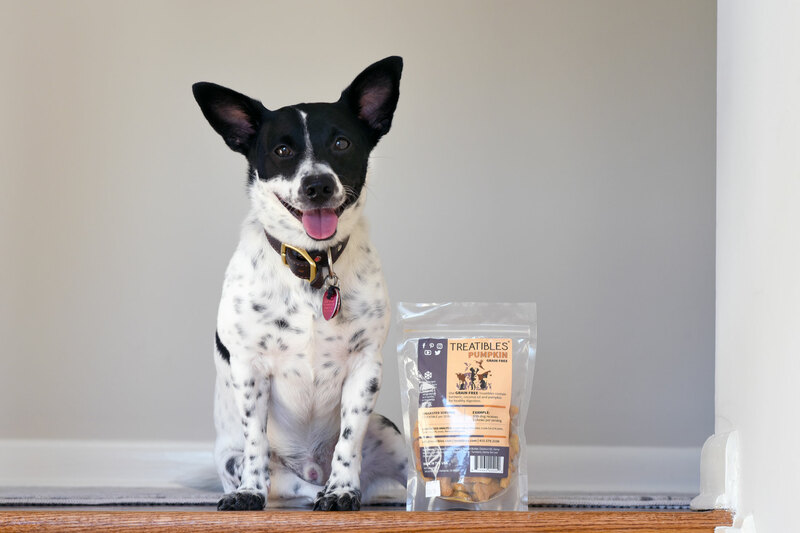 According to their website, Treatibles was founded “on the values of compassionate care, quality ingredients, consistent reliable information, and integrity.” They believe in harmony for the entire family, and strive to bring calm, balance, and vitality to our pets. With a focus on high quality ingredients, consistency, reliable service, and deliciousness, their products are virtually free of THC and are legal to sell in all 50 states. Treatibles sell two chew sizes, as well as CBD oil. 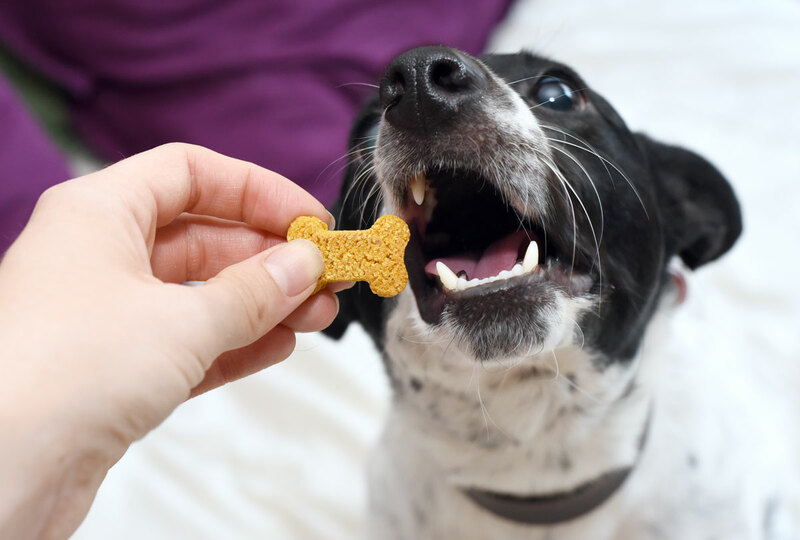 While the oil can actually work more quickly, the treats are much easier to give to your pup. 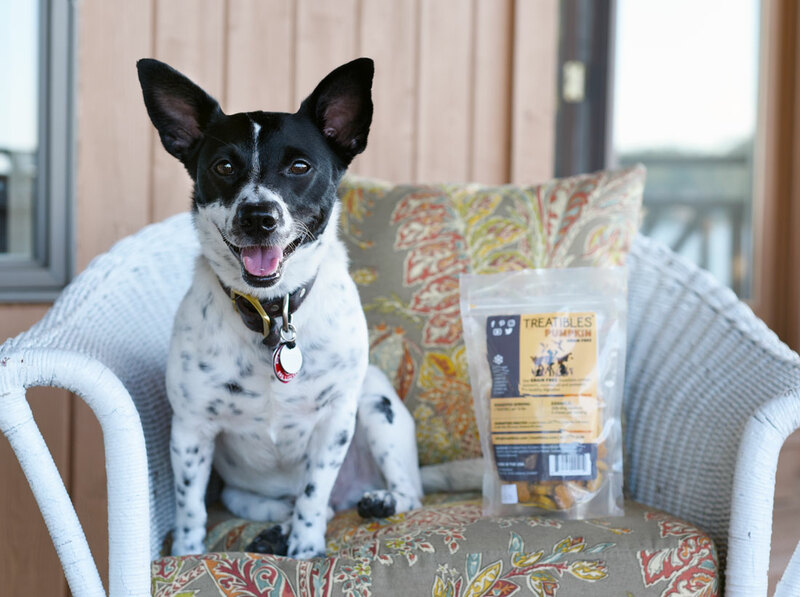 Their upcoming line of grain-free treats come in pumpkin, blueberry, and turkey flavors as well as Tater’s Sweet Potato Tots, which benefit Villalobos Rescue Center. The large size of these treats contain 4mg of CBD each — which means you only need one for a 40-pound dog! Earlier versions of the treats require different dosages, so check your packaging. According to Treatibles, pet owners report effects in as little as five minutes, but sometimes up to one hour. I usually give Henry his Treatibles about fifteen or twenty minutes before a stressful event like a nail trim. Each pet is different. Another plus? Treatibles claims that it is virtually impossible for your pet to overdose – so feel free to experiment with an extra half a chew if need be. If the chews don’t work for you, consider giving the CBD oil a try, which can absorb much more quickly. Calm as a summer day! We were riding a train to New Haven, and the usual weekend crowd was making a ruckus. In addition, a small baby’s cries pierced the stuffy car. In the past, Henry would whine, bark, and fidget restlessly in his carrier. Because I had given him a couple of Treatibles, however, he stayed completely silent. He even gazed out the window and enjoyed the view instead of anxiously searching for the noises’ sources. Woo! Henry LOVES his groomer but HATES nail trims. For two years, we’ve been working with a wonderful groomer to decondition Henry’s nail trim fear. I decided to try Treatibles for one of our appointments. It did not magically cure his phobia while on the grooming table, but he was positively calm and relaxed while walking around the shop. 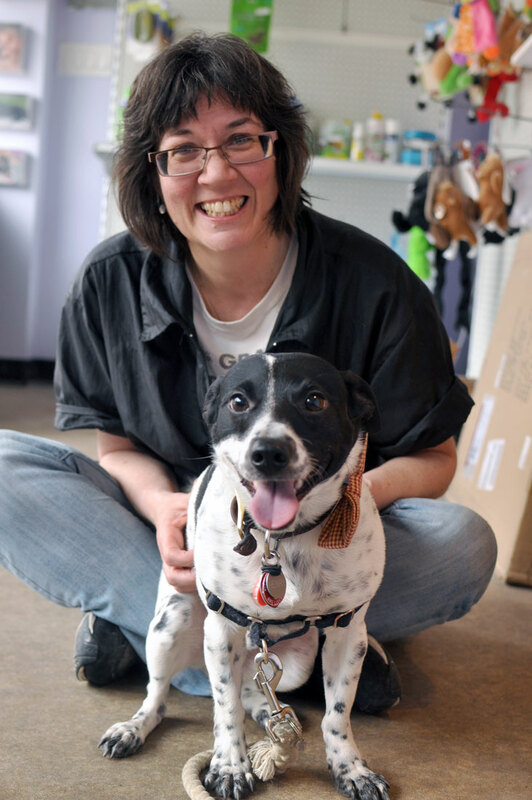 He even greeted a dog in a pen on the floor – eye to eye, with no signs of stress or arousal. One of the part-time groomers saw the interaction and gasped, “Wait – I thought he didn’t like other dogs!” We were all impressed! Research on CBD for reactive dogs and dogs in general is very limited, and the field is still very new. In addition, every dog is different, and your dog may not have the same results. That being said, we’re CBD and Treatibles converts. We’ve tried several calming aids, but I find myself grabbing these the most. I know I like a lot of the products I review — but these have been absolute life-changers. I mean it! I hope that our positive experience can help others, but be sure to speak to your vet before starting Treatibles and/or if they don’t work for your dog. Where Can I Find Treatibles? You can find Treatibles at their website at their website, and you can check out the brand on Instagram, Facebook, and Twitter. Hi Ellie! I’m not a vet, of course, but I haven’t noticed any adverse interactions. It might depend on your dog. I’ve heard of other dogs having success using CBD in coordination with Prozac. The Prozac has definitely helped Henry clear his mind and think more clearly, and the Treatibles help in acute situations. They help better than Xanax! Talk to your vet behaviorist, but also keep in mind because this is still a new field, he or she might be hesitant to officially recommend them. Good luck with your pup! I have heard nothing but great things about CBD oil and Treatibles, the oil was a God send for Shasta during his last few weeks as it helped with both pain and anxiety. I have been using CBD oil on my 20 year old cat with very positive results. No more screaming in the middle of the night. I would highly recommend CBD as something to try for any pet. I’ve started out trying CBD with Sahara and right now they are a hit or miss as far as I can tell. They usually stop her from whining during a thunderstorm which is good. I might have to try these treat though, she throws up the other brand of CBD treats we have so I’ve just been giving her a pill. Great Post! I looked long and hard for a CBD product that actually works for my cats. I’m very happy I came across this during my search for something regarding this. Thanks for sharing.